Salve Regina U brings a taste of French culture and film to Newport with their seventh annual French Film Festival. This excursion into Gallic culture includes dance, music, food and wine at opening and closing events, and features 6 films over two weeks, from Sunday, March 18 through Thursday, March 29. Originally inspired by a national foreign culture grant, the Salve French Film Festival has connected with a strong community interest in cinematic alternatives to standard Hollywood fare. 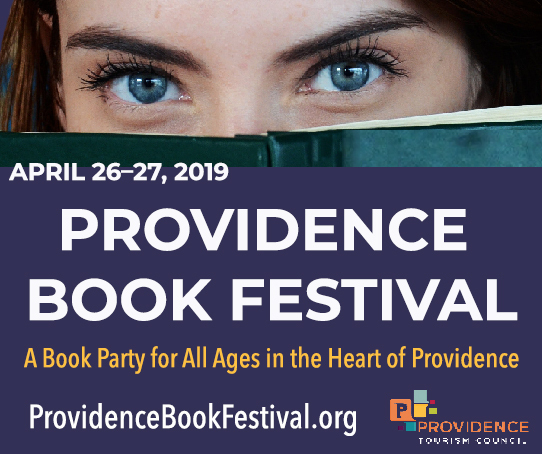 “It turned out to be a much bigger event than we ever expected,” says Allen Antone, Festival Coordinator and Special Programs Librarian at Salve Regina University. What started as a campus event tied to a class with roughly 30 students now draws viewers to fill a campus theatre with over three hundred seats and, for certain screenings, Newport’s Jane Pickens Theater. Many screenings sell out. When the original grant expired, the festival had to become self-sustaining. Book-ended by receptions after the opening and closing films, where refreshments, wine and live music are featured, the festival includes a mix of genres and tones, “movies that are a little different, but good movies that stick with you,” Antone says. In most countries, film is seen as entertainment or commerce, but in France, it’s considered “the seventh fine art.” There’s greater focus on aesthetics, and the results may have a very different feel. During the past year, this rich cinematic tradition associated with France did go mainstream in some surprising ways, featuring prominently in Oscar favorites Hugo, about Georges Melies’ work near the birth of French filmmaking, and French-made The Artist, a silent, black and white modern retelling of the life of silent film star George Valentin. All the films at the Salve University French Film Festival are contemporary (from 2010-12), and all will be screened with subtitles. The selection committee chose films that vary in tone and flavor – some are serious, others lighter. “We’re opening with a comedy – there are references to politics in France, and some uniquely French cultural references, but the students on the selection committee universally enjoyed it. The filmmaker is strongly influenced by Woody Allen, and has created a wonderful romantic comedy,” Antone says, describing the opening night film, Le Nom des Gens / The Names of Love (literally, “the Names of People.”), which will be shown March 18 at 7pm at the Jane Pickens theatre. Other films will be shown at O’Hare Academic Center’s Bazarsky Lecture Hall on the Salve Regina Campus. These include Rapt, a thriller based on a true story from the 1970s, about a kidnapped industrialist, with an emphasis on the psychological aspects of how he and his family react to his abduction – and what they learn about his life after he’s taken. The third film, The Princess of Montpensier/La Princesse de Montpensier, is a historical drama based on Madame de Lafayette’s 1622 novella about love and desire during the brutal Catholic/Protestant wars. This is followed by Le Havre, a dramedy about friendship and politics in the titular French harbor city. The fifth film, A Screaming Man/Un Homme qui crie, is a quiet drama from Chad, a former French colony, and follows the relationship of a father and son during trying post-colonial times. The festival also closes on an upbeat note with, “An upstairs / downstairs style comedy set during the 1960’s, when a lot of immigration was taking place from Spain to France,” says Anton. In France, the upper class would live downstairs and the servants upstairs (the reverse of the traditional British upstairs/downstairs relationship). This film, “The Women on the 6th Floor/Les Femmes du 6e Étage,” follows the mixing and interaction between families living in one such arrangement. Correction: Note in a previous article about Murder University, I quoted Lenny Schwartz’ Facebook page as saying “Even though the politicians can’t suport each other, let’s make a statement here that THEATER and FILM folks can support EACH OTHER!” This quote should have been attributed to Mr. Schwartz’ publicist, Mary DeBerry.